As part of my blog I (MM) believe it’s important to share common and similar experiences. This year I met George (GB) at the Ashmei ambassador day, and I was really inspired by his journey to completing an Ironman. MM: You describe yourself as a “former drug using, alcohol abusing, self harming suicidally depressed nobody”. What was rock bottom for you and how did you pick yourself up to sign up for Ironman Kalmar? GB: I wish I could highlight one rock bottom in my life – there have been a few I could describe. The one that preceded my recovery in the late autumn of 2013, just before I discovered Maytree and embarked on the long process of recovery. At this point I’d beaten drugs and alcohol, but had recently been let go from my job and signed off from work entirely due to depression, had recently come out of a very weird relationship, and felt utterly isolated living in one of the largest cities in the world but with no social circle. I felt isolated from my family, most of whom lived elsewhere, I had no aim or direction, and couldn’t connect with any of the people that would have been my peers. There didn’t seem to be any way of escaping this situation, as it had been caused largely by reaction to previous rock bottoms. My stay with the Maytree and subsequent therapy sessions with one of the people that founded it helped, and eventually I was declared fit to work again and found a job. I got into running with Goodgym (www.goodgym.org) to try and meet people and do something that made exercise feel worthwhile, and that gave me the confidence to take on bigger athletic challenges. 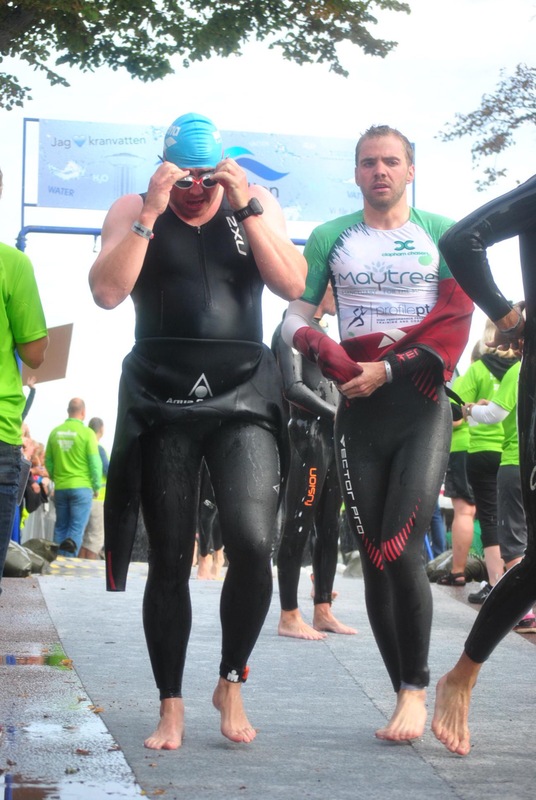 From there, a stroke of luck left me the money to buy a bike and wetsuit and get into triathlon, which had been one of the things I’d always half-wanted to do but never had the courage. 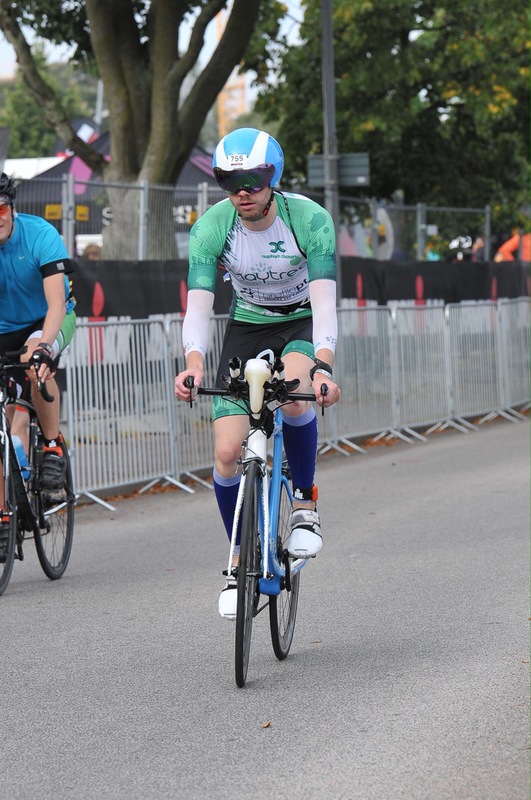 I never knew about Ironmans until I joined my triathlon club, the Clapham Chasers, but when I saw one I knew that was a test I wanted to throw myself at. I actually planned to do one in 2017 b﻿ut realised I had the money and the time, and my experiences left me worried that this might change, so I jumped at it. MM: Can you explain how the money you have raised helps continue the work at the Maytree Respite Centre? GB: The Maytree is a very small charity – it only has a handful of paid staff, with almost two hundred volunteers giving up their time to ‘staff’ the small unassuming house that the charity works from. The cost of a stay is surprisingly low for what can be such a significant and important stay for many – I think I worked it out as being around £500 for one person over five days – but as a smaller charity, they don’t get realms of funding so every pound and penny really does make a difference; from funding DBS checks and training for new volunteers, to providing a healthy and varied diet to a guest over the course of their stay, to providing funds for upkeep to the house and the modest garden. 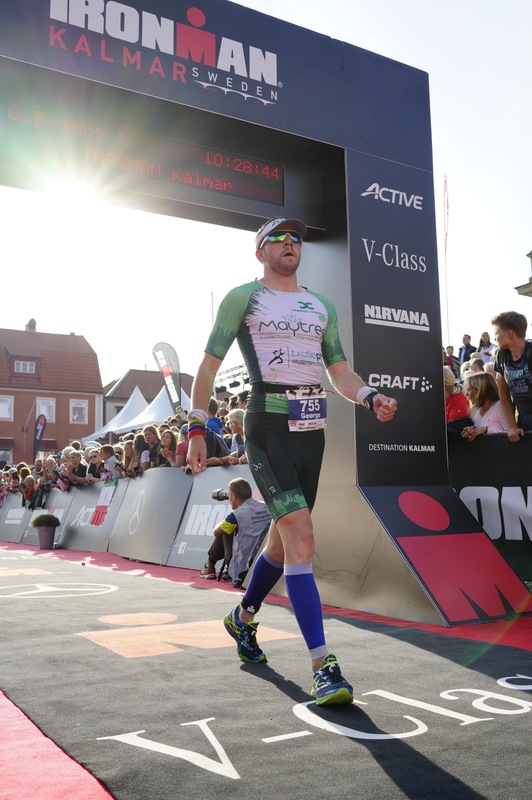 MM: What event or moment surprised you the most during Ironman Kalmar? GB: Unless you count the numerous incidents of accidental violence in the swim, probably when I started my second lap of the run and realised how fast I was going. I felt like I’d buried myself on the bike split and could barely hobble through transition, so when I realised that I hadn’t completely fallen apart, that put a smile on my face. MM: After completing Ironman Kalmar, did it add anything to you as a person or did it reveal what you already were? GB: I think it definitely added a bit of self belief; there’s no way in hell me two years ago would have even contemplated doing an Ironman, let along doing it as fast as I managed. It’s nice to have an achievement under the belt that I feel I can fall back on if I’m struggling again at any time in the future. Really, though, I think it revealed that I’m tougher than I thought, physically and mentally. The assumption is depression makes one weak, by if you can frame it in the right way, it can become a serious drive and it certainly was for me. Endurance sport is as much mentally demanding as it is physically, and I don’t think I really knew quite how much of a bloody-minded survivor depression had made me. MM: During the Ironman you met Aron Andersson can you tell me about him? GB: Haha – met him is a funny way to put it! He absolutely flew past me on the marathon when I was getting towards the end of my final lap; I was stunned how fast he was pumping his wheelchair after the swim and then hand-cycling a hundred and twelve miles! He really is an inspirational guy – his next challenge is to conquer the South Pole, the first wheelchair-bound explorer to do so, and the strength it must take to push yourself physically like that and with such a positive outlook despite the trials he’s faced is incredible. MM: For the Ironman you ran a 3:14 marathon in the Ironman which is a great effort, what tips would you give to runners to improve their performance? GB: The greatest improvement I made to my distance run training is when I finally got it into my head that speed is not everything. If you want to train effectively, be consistent – it’s no use running six minute miles for the first half of your set, if you’re then knackered for the second half. Go out at a manageable pace, and if you still feel like it’s too easy towards then end – that’s when you pick it up. MM: For the Ironman what food/fluid/fuel worked for you during the race? GB: I have a very specific race day breakfast: rice cakes with peanut butter and sliced banana. These are filling but easily digestible, so don’t cause stomach issues later in the race, and your body quickly breaks down the sugar content to get you going. I also wash this down with some Truestart coffee, which has a specific measured amount of caffeine, again to help avoid stomach upsets. During the race, I drink electrolytes and eat solids in the form of energy bars on the bike, in small but frequent amounts; shortly before I get to the run, I switch to water and energy gels. For the last hour on the run when my body couldn’t handle anything else it was flat coke for those quick sugars! This approach works pretty well for me in terms of giving me the energy I need, but could still use some fine tuning; I have a pretty sensitive stomach so need to be very careful not to overdo it. MM: Mental health is fluid some days are better than others, and you make an key point in your blog by saying: “I can’t pretend that any one event, or any series events, will ever provide a permanent emotional catharsis to my depression. Things do not work like that, and I don’t think they ever will. This will be a lifelong thing for me; it’s simply too entrenched”. What skills has completing the Ironman given you for dealing with depression? GB: Taking on such a mammoth task – not just the fact that it’s a hard event in itself, but with the comparative lack of triathlon experience I have compared to most who do an Ironman – has taught me a lot about how I cope. It’s shown that I am capable of achieving some pretty cool things if I stick at it, and that I’m far more athletically gifted than I thought, which makes me happy. But I think one of they key points come from my training, especially after one of my key training races where I crashed halfway through the bike course. For a while after that I was injured and in pain, and picked up a bug from the water to boot. It felt like the whole world was conspiring against me, but somewhere in picking myself up from previous bad training sessions, I realised that this was a temporary situation and would pass, which is a perspective I always struggled to hold on to. It’s one that will definitely stick with me when depression strikes again in the future. MM: In your experience, how important is the link between physical health and mental health? GB: For me? I never really felt like I was overcoming my mental health issues until I started doing sports as a regular thing. I think there’s a lot of reasons for this, and they’re not necessarily purely about your physical health – the process was as important to me as the outcome. Meeting the people I have met through sports, finding something to push myself at that was in my control, and allowing myself a sense of accomplishment; these all came through me go using on improving my physical health. 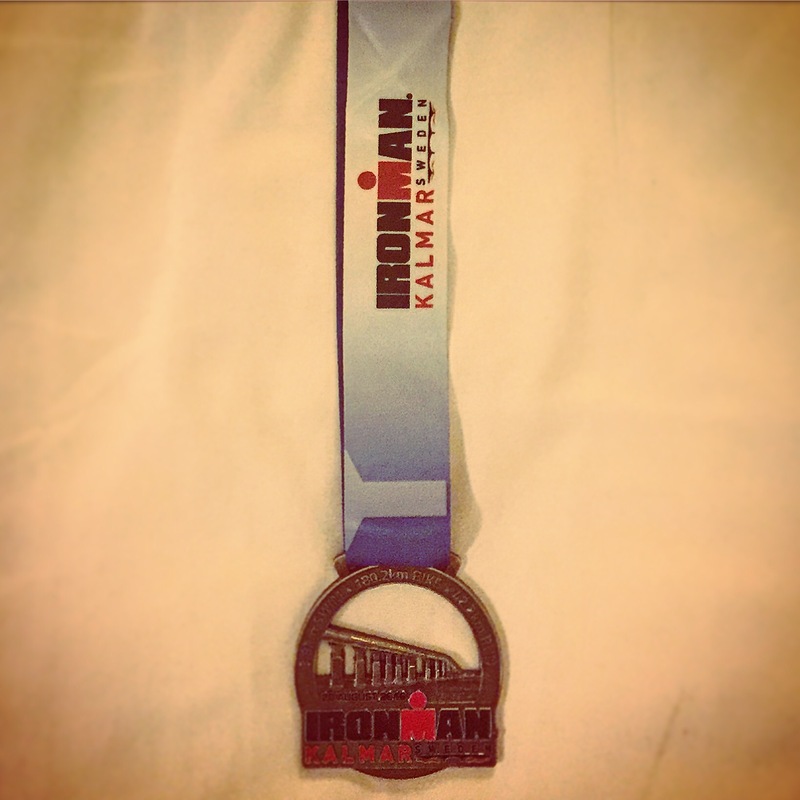 MM: Completing the Ironman was an amazing achievement, what is next for you? GB: Getting fat! I have a few races over the Autumn but they are strictly for fun, training will be an as/when thing. Hopefully this should allow me to decompress after 8 months of solid training for my Ironman, without letting me get too sedentary. 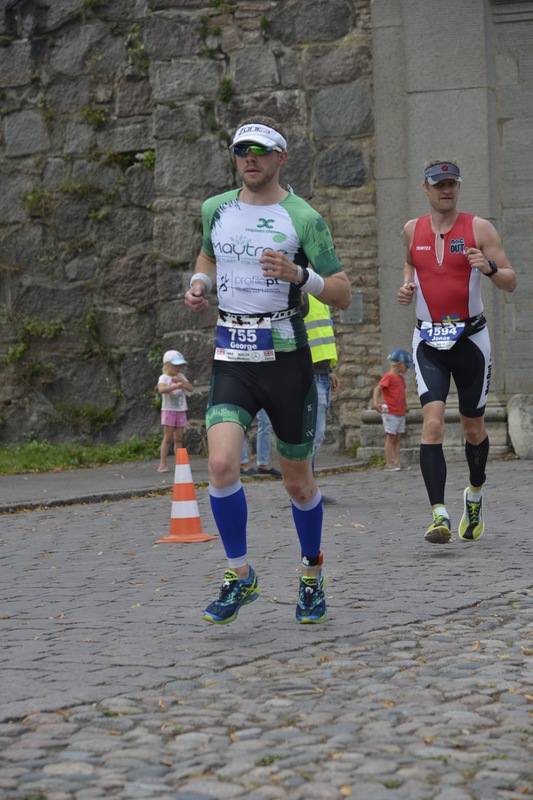 Then late in the year I’ll be back on it – because I managed to get a spot at Challenge Roth next year! Roth is probably the second biggest long distance triathlon race in the world after the Kona championships, so it’s a major bucket list race. My experience from having done one Ironman was super positive and I can’t wait to see how much I can improve with another year under my belt. It’s generally considered the fastest long course in the world and is where the current records are set – I’m going to have to push really hard to keep up! Wow, what an inspiration to us all. Real determination and grit. Thanks for sharing. loved reading George’s story! I have not done any Iron Man events however I do get that the training cycle and the achievement of the event one chooses can really help where mental health is concerned. For me running saved my life and continues to do so. It is good to know there are others out there overcoming huge obstacles such as suicidal thoughts/plans and depression. Thanks Renee for your comments. I’m glad it resonated with you, regarding how people face similar challenges, not always discussed openly. Best of luck with Berlin it’s a great course, wide flat and fast.